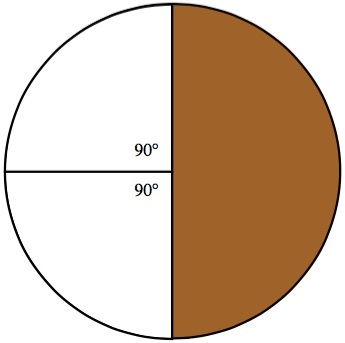 You have a round cake and a tool that cuts a piece in the usual shape (a sector of a circle with vertex at the center), removes it, turns it upside down, and replaces it in the cake to restore roundness. The cuts are immediately healed; the motions as just described form one "step." The vertex angle for this device is 7 degrees. After the first step, do the same with the next piece; i.e., use the tool to invert a piece that is rotated counterclockwise from the first one so that one boundary edge coincides with a boundary edge of the first piece. Remove it, turn it upside-down, and replace it. Keep doing this in a counterclockwise direction; the cuts are healed immediately and play no role. How many steps are needed to so that the cake returns to its exact initial state? For example, if the pieces all had a central angle of 1°, it would take 720 steps. This problem is related to POW 1101, which asked for the number of steps for all the icing to return to the top. But here we are asking that every last crumb of cake is in the exact same position it started in. I chose 7° because the answer is rather large. Source: Derived from a 1968 Moscow Math Olympiad problem, but the variation above is due to Dan Velleman and Stan Wagon. The variant is Problem 31.2.8.3, p. 90, in 60-odd years of Moscow Mathematical Olympiads (downloads a 299-page 2.8M file), G. Leites editor, G. Halperin, A. Tolpygo, P. Grozman, A. Shapovalov, V. Prasolov, A. Fomenko.